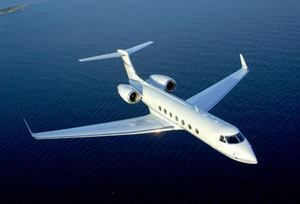 Private jets – ultimate in luxury travel. National or international, from small jets to airliners for large groups. Travel overseas in luxury with private jet charter. Atlas Helicopters search the private jet industry for the best rates, ensuring you receive a private jet service which meets all your requirements and expectations. Private jet charter is a great alternative to commercial flights. Ideal for short breaks abroad, or attending business meetings on a tight schedule; with a private jet flight you have total freedom over your departure point and times. You’ll also avoid stressful queues at the airport, with quick and simple check-in procedures for private flights which are designed to get you up in the air as soon as possible, and with less restrictions on luggage you can bring larger suitcases. On board, you’ll relax in a comfortable and luxuriously furnished cabin, with gourmet catering and in-flight entertainment tailored to you. You can also choose to continue work on board, meaning your travel time doesn’t have to cut into your working time. Maximise your hours and cross important tasks off your to-do list before you even touch the ground. With aircraft available for hire 24 hours a day, Atlas Helicopters can arrange private jet charter for you at short notice, as well as arranging connecting helicopter flights. For more information, call the Atlas Helicopters team today on 01256 635000.